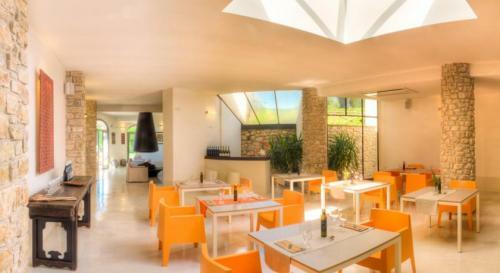 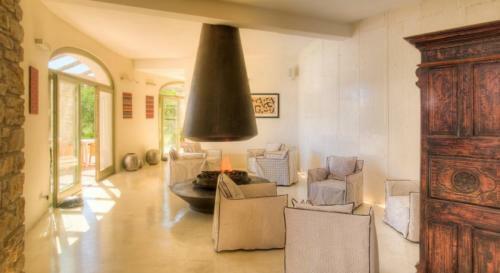 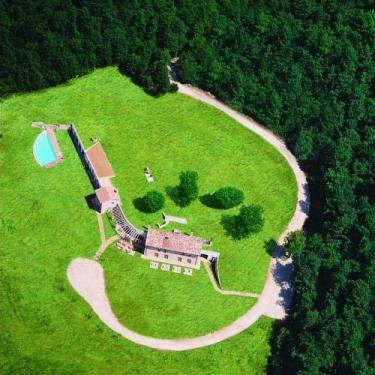 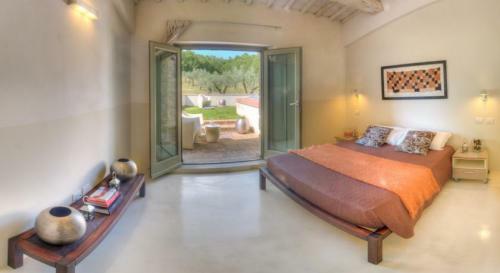 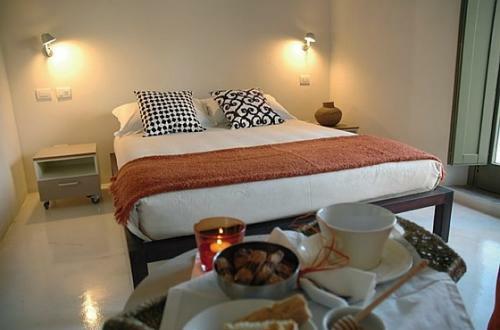 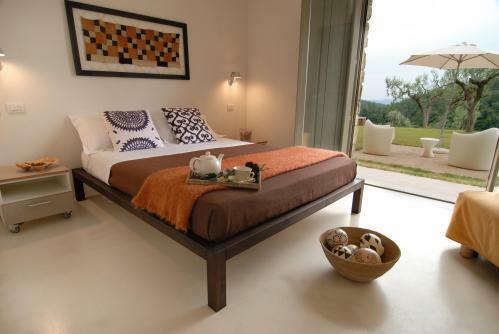 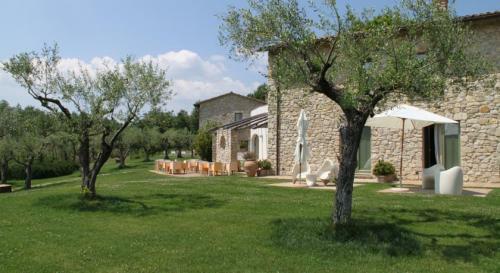 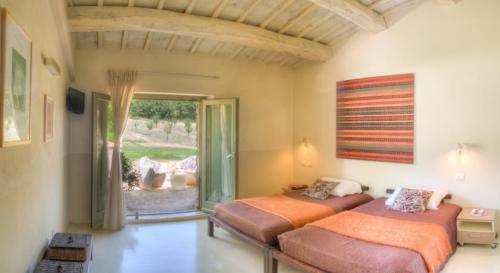 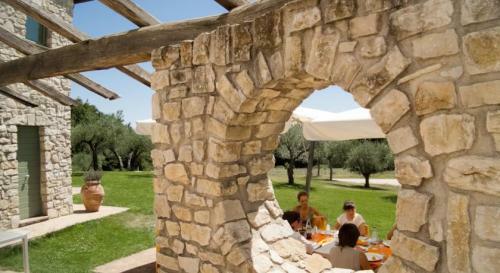 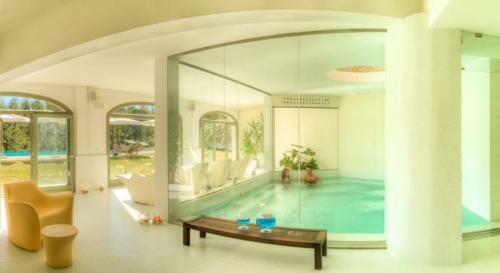 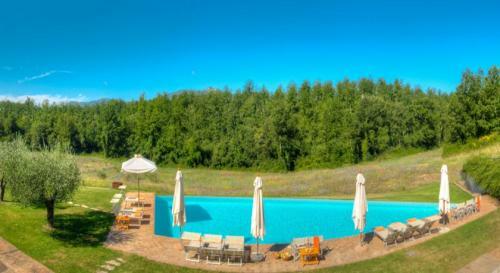 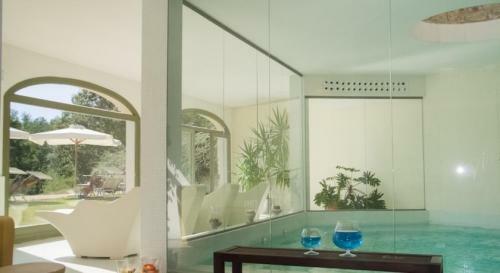 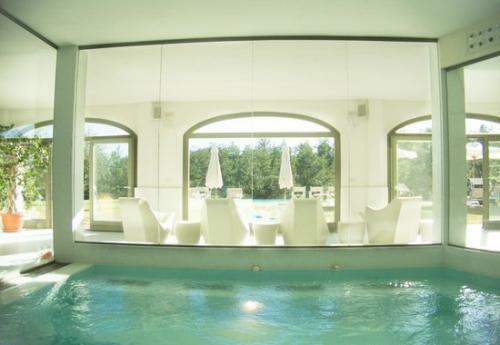 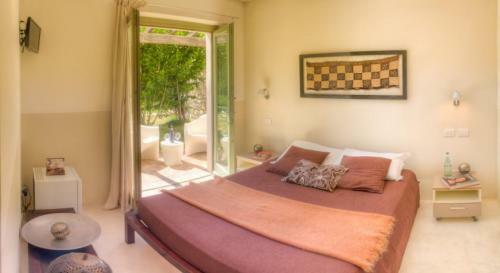 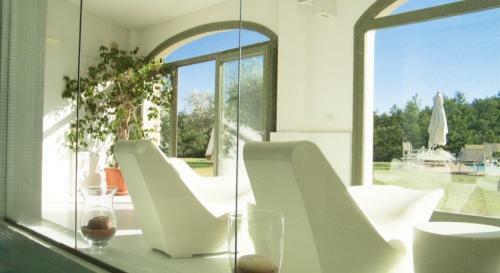 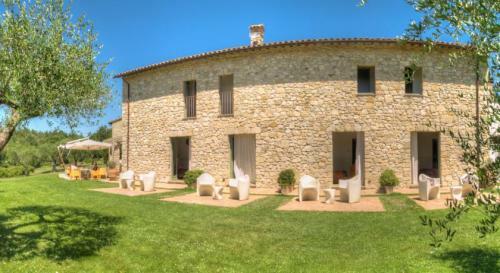 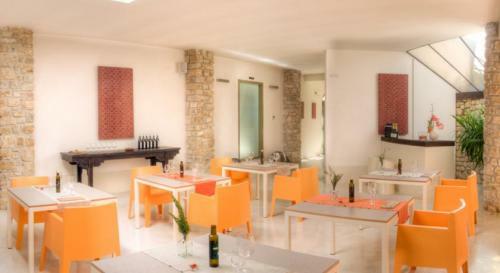 Acquaghiaccia Country House is ideal to spend a beautiful and very unusual holiday, with a direct contact with nature. 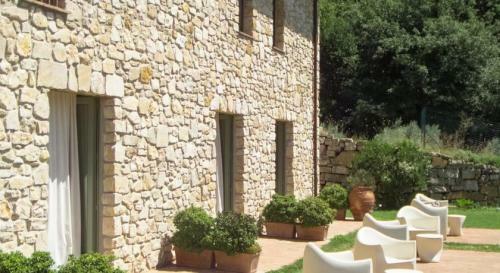 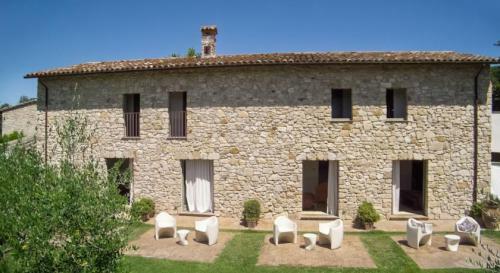 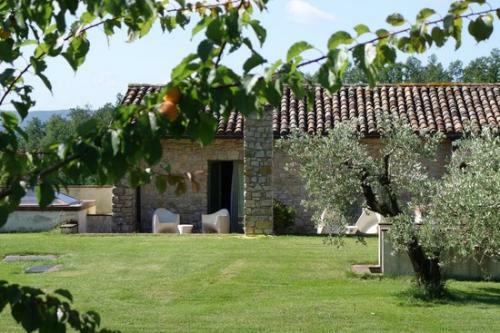 The farm house is located along the way that, in the Middle Ages, was taking from Todi to Amelia and Narni, and it is in an unspoilt and picturesque landscape between the cities of Baschi and Todi. 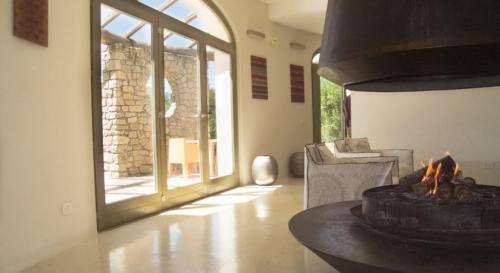 Its name originates from a cold water source used by the locals in ancient times.The farm house is surrounded by woods that are full of easily accessible footpaths, to reach for looking for mushrooms, wild asparagus, berries and animals. 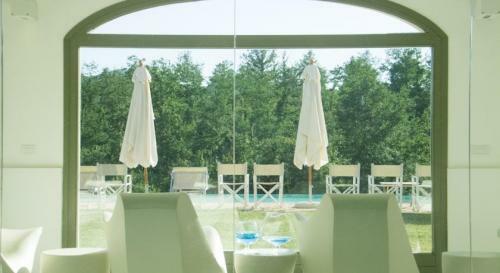 Acquaghiaccia proposes educational walks with an expert herbalist who will show you how recognise and use berries or wild herbs.Acquaghiaccia is equipped with 10 en-suite rooms, all with a direct acces to the garden, and a wellness area with: turkish bath with aromatherapy and chromotherapy, bracing showers, heated swimming pool, ionized insufflations and cervical waterfalls. 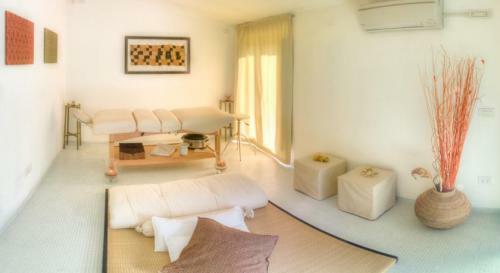 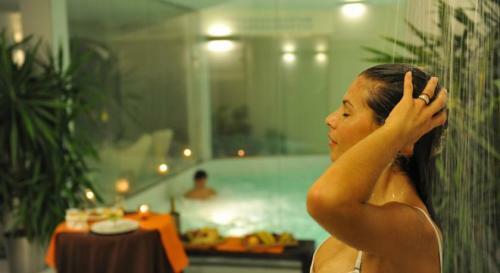 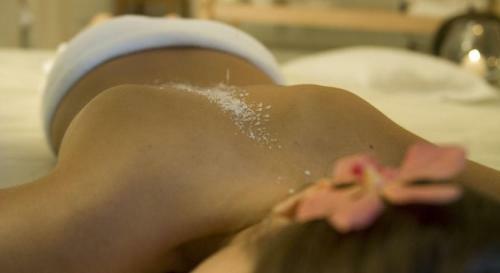 It is possible to book personalized massages: relaxing, de-contracting, draining and circulatory, reflexology and hot stone. 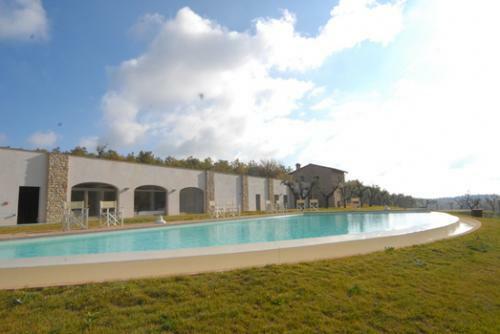 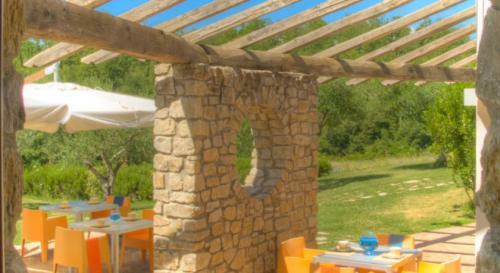 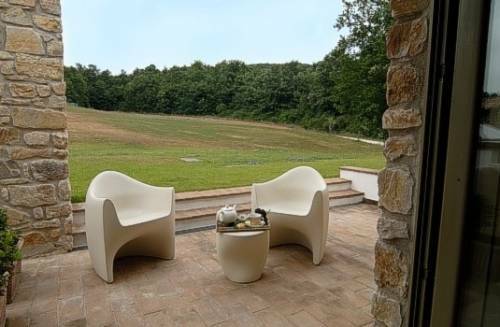 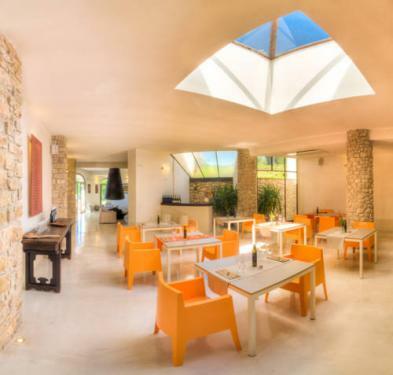 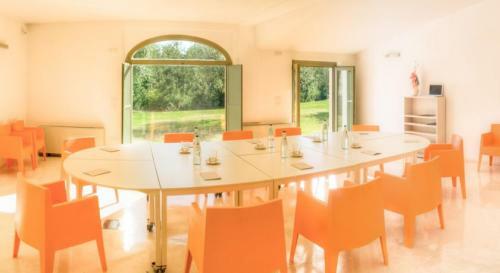 Furthermore, the country house has a large external saltwater swimming pool.It has also a restaurant, open for the guests, that serves only organic and 0 km products from the garden or from local farms.